WWE Divas are an indispensable part of the show that is professional wrestling. They bring an attitude and charisma that their male counterparts wish they had. Debuting in 1983 with the Fabulous Moolah, WWE Divas have battled in some of the most memorable matches the league has ever seen. The lovely ladies you’re about to see are the best of the best: the greatest WWE Divas of all time. Our number six choice was the number-one ranked female wrestler in the world in 2015! One of the first models turned WWE Diva, Trish Stratus cemented her status as one of the greatest WWE Divas of all time after winning her seventh championship. The funny thing is, she was never supposed to be more than a pretty face. Early in her WWE career, she was used for more provocative storylines. As her popularity skyrocketed, the company decided to make her a serious wrestler. Stratus retired from professional wrestling after her final title. In 2013 she was inducted into the WWE Hall of Fame. AJ Lee made her WWE debut in 2010 and earned a significant role in the company in 2012. Acting as a mentally unstable character, Lee won three Divas Championships. Combined, she held the title for a record 406 days. In 2012 and 2014 she was named Diva of the Year. Lee retired from in-ring performing in 2015 and began to focus on her writing career. In 2017 she released her memoir My Superpower is Crazy. The book was named a New York Times bestseller. Lee is currently working on her second book and consulting a television adaptation of her memoir. Being an author is cool, but our next diva took her time away from WWE to become a punk rock star! Full of attitude, Lita was one of the most popular WWE Divas from 2000 to 2006. During her six years with the WWE, she won the Women’s Championship four times. She peaked as a member of Team Extreme with The Hardy Boys. This period in her career saw an image change where she started wearing baggy jeans in the ring. She also became the only WWE Diva ever to be involved as a fighter during a Tables, Ladders, and Chairs match. After retiring, Lita formed the punk band, The Luchagors. Their debut album was released in 2007. In 2014, Lita was inducted into the WWE Hall of Fame and currently works as an analyst for the company. Mickie James made her wrestling debut in 1999 on the independent circuit. She joined WWE in 2003, premiering two years later as Trish Stratus’ biggest fan turned stalker. The storyline ran for eight months with James becoming a villain and beating Straus at Wrestlemania 22 to win her first of six titles. Out of storylines, the WWE released Mickie James in 2010, and she returned to the independent circuit. She also took the break from WWE to release her first album, Strangers and Angels. James rejoined WWE in 2016 and still performs with the company today. Paige Is The General Manager of WWE Smackdown! Paige entered the WWE ring for the first time in 2014. Four years later she was announced as the General Manager of WWE Smackdown! by Vince McMahon. Born in Norfolk, England in 1992, Paige is one of the youngest general managers the company has ever seen. Paige won the WWE Divas Championship in April 2014. It was her first match with the company. Just 21 at the time, she also became the youngest diva to hold the title. Unfortunately, she was upstaged a year later when our next diva was ranked the number one wrestler in the world! Nikki Bella has a long list of accomplishments on her resume. In 2015 Pro Wrestling Illustrated ranked Bella as the best female wrestler. She is also a two-time WWE Divas Champion. Her reign of 301 says is recognized as the longest in history. Bella debuted on WWE Smackdown! in 2008 with her twin sister, Brie. In 2012, the company announced the Bella Twins had been fired. Nikki moved to the independent circuit for a year before rejoining WWE with Brie. Throughout her run with WWE, Nikki Bella has been portrayed inconsistently as a hero and villain. Before Michelle McCool stepped under the rope and into the WWE ring, she made her living as a middle school teacher. Working in Palatka, Florida, Michelle Calaway entered the WWE Diva Search in 2004. She auditioned with the character of a personal trainer but switched to a “teacher” quickly. McCool’s time with WWE was quick but fruitful. She became the inaugural WWE Divas Champion in 2008 and held the title for five months. When she won the WWE Women’s Championship in 2009, she became the only diva to hold both titles at the same time. McCool retired from WWE in 2010. After wrestling in the independent circuit for four years, Maryse returned to the WWE to manage her husband, The Miz. Over the last two years, she has helped Miz win three Intercontinental Titles. Before the independent circuit and her life outside of the ring, Maryse was one of the most decorated WWE Divas. Debuting in the WWE Smackdown! in 2008, Maryse won her first WWE Divas Championship. She held the title for seven months before being drafted to WWE Raw. Her run on Raw lasted two years and one title. In 2011 the company fired her, but as you know, that didn’t last very long. Sasha Banks broke barriers in 2015 when her match with Bayley for NXT Takeover was the first women’s match to headline a major WWE event. The event lasted 30 minutes, also making it the longest women’s match in WWE history. Pro Wrestling IllustratedI honored the historic match as the Match of the Year, honoring Banks as the Woman of the Year too. One year later Banks broke an even bigger barrier, becoming the first diva to headline a WWE Pay Per View event. The “Hell in a Cell” match was the first ever for divas. Going up against Charlotte Flair, Banks was defeated, relenting her title after 27 days. Coming up, a diva whose wrestling lineage dates back a very long way! If Natalya Neidhart’s last name sounds familiar, it’s because she’s the daughter of wrestling legend Jim “Anvil” Neidhart. Natalya credits Bret Hart, her uncle, as her inspiration. She doesn’t need her lineage to prove why she belongs on this list, though. In 2010, Natalya won the WWE Divas Championship. She won her second title in 2017, becoming the Smackdown Women’s Champion. Possibly transitioning from wrestler to mentor, Natalya has taken to tutoring Ronda Rousey since she debuted in 2018. Kelly Kelly debuted with WWE in 2007 and won the Divas Championship in 2011. Four months later she left the WWE. Born in Manhatten Beach, California in 1987, Barbara Jean Blank worked has worked as a model and reality television personality as well. Not surprisingly, her first year with WWE was as a model and not in-ring talent. When WWE contacted Kelly Kelly’s modeling agency for a tryout, she agreed despite have zero previous experience. Against the odds, WWE signed her to a contract. At 19-years-old, she became the youngest diva on the WWE roster. Brie Bella announced her departure from WWE in 2016. She cited family reasons for leaving and said she would continue to work in some capacity as an ambassador for the league. The sudden departure came three days after Bella won a 10-team tag match before Wrestlemania 32. Unable to stay away for too long, Brie Bella returned to the company for the 25th anniversary of WWE Raw in 2018. She made her in-ring return at WWE’s Royal Rumble. She was defeated by her sister minutes after entering the competition. Next up we have the youngest Hall of Fame inductee ever! Beth Phoenix was inducted into the WWE Hall of Fame in 2017 five years after retiring. The induction made her the youngest WWE Diva ever. She emerged from retirement in 2018 to participate in the first-ever women’s Royal Rumble match. Her return ended after Natalya eliminated her two minutes into the match. Still, the appearance made her the only Diva to wrestle in both male and female Royal Rumbles. Since leaving the ring, Phoenix has become a commentator for WWE. She worked in this capacity during Wrestlemania 34 for the Wrestlemania Women’s Battle Royal. Eve Torres worked for WWE in several capacities from 2008 until 2013. When she retired, Torres became a self-defense instructor for Gracie Women Empowered. Her path to empowerment wasn’t easy, starting her career as a spirit dancer for the Los Angeles Clippers. In 2007, Torres entered the WWE Diva Search and won. Before getting into the ring, however, the company had her conduct backstage interviews. Once she got into the ring, there was no stopping her, and she won the WWE Divas Championship three times. She is the only Diva to accomplish this feat. After winning her second WWE Divas Championship, iconic wrestler Bret Hart said Melina had, “perhaps the most impressive arsenal of offensive maneuvers in WWE history.” Before amassing her impressive arsenal, Melina Perez was a beauty pageant contestant. In 2000, Perez decided to make the transition from model to wrestler and started training at Jesse Hernandez’s School of Hard Knocks. She made her WWE debut four years later. From 2004 to 2011 she won two WWE Diva Championships and three WWE Women’s Championships. Stacy Keibler took a leave of absence from WWE in 2006 to participate in Dancing with the Stars. She never returned, and officially announced her departure after placing third on the program. Trying her hand at acting, Keibler most notably appeared as a bartender in How I Met Your Mother. In 2011 she returned to WWE for the reality series Tough Enough. Keibler’s original run with WWE lasted for five years. She never won a major championship but was involved with several major storylines, including the WCW/WWE Invasion that brought her to the company. Coming up is Beck Lynch, a diva who refused to quit, even after a career-threatening brain injury! Becky Lynch wrestled overseas from 2002 until 2006, when she suffered a brain injury during a match. In 2008, she was scheduled for a second match but decided to retire instead. In 2011 she re-appeared in Chicago as a manager and signed a contract with WWE in 2013. 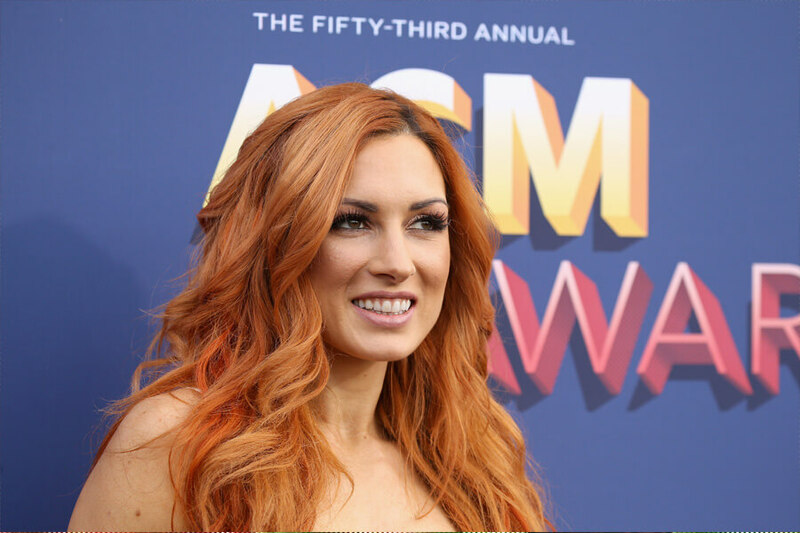 As a WWE Diva, Becky Lynch has been involved in several feuds and storyline, most notably with Charlotte Flair. Three years after joining WWE she became the Smackdown Women’s Champion, beating five other divas in a six-pack elimination challenge. Kaitlyn joined WWE in 2010 and won one Divas Championship, defeating Eve Torres for the title. In four years working for WWE, the diva was used mostly as a heel. She fought in various championship matches but usually came out on the wrong side. This explains why she terminated her contract in 2014 to rejoin the fitness world. Before her run as a WWE Diva, Kaitlyn was a fitness enthusiast and model. At 19, she began entering competitions. In 2007, she won the National Physique Committee John Sherman Classic Bodybuilding Figure and Fitness Championship. Over the next two years, she consistently placed in the top five of competitions, forcing the WWE to notice. Layla El Young danced for years before signing a contract with the WWE. At Kanye West’s MTV Video Music Awards performance you can see her in the background. She also danced for Carnival Cruise Lines and the Miami Heat. Everything changed in 2006 when she entered the WWE Diva Search and was signed to a contract by the company. Layla teamed up with Michelle McCool in 2009 to form LayCool. They spent their first year together feuding with Mickie James. On one occasion Layla came out in a fatsuit to mock James’ weight. The move backfired when James used the joke as motivation to beat LayCool single-handedly and win the championship. Torrie Wilson grew up in Idaho and found a love for fitness after enduring a mentally debilitating modeling career. Working out and eating six meals a day, she won the Miss Galaxy contest in 1998 and signed with WCW one year later. Wilson worked with WCW for two years, transitioning to WWE in 2001. At the start, she feuded with Stacy Keibler and was often involved in underwear matches. For the rest of her WWE career, she got caught in feuds with just about everyone. In 2005 Wilson took a leave of absence to deal with personal issues and officially retired in 2008. Her retirement was short-lived, and Wilson has made part-time appearances for WWE since.